Dan Haughey was born and raised in Butler County, Ohio, went to St. Xavier High School in Cincinnati, and graduated from Miami University. Following college he attended the University of Cincinnati College of Law. Upon graduation from law school, Dan accepted a position with the Butler County Prosecutor's Office, where he handled cases in Area Courts I (Oxford) and II (Hamilton). From there, Dan was hired as Hamilton City Prosecutor, a position he held full time for just over a year before beginning his private practice, Daniel Haughey Attorney at Law, in Oxford. Along with his private practice in Oxford Dan continued as a part-time prosecutor for the City of Hamilton until his appointment as magistrate for Hamilton Municipal Court in August, 2006. Dan's good friend, Dennis Deters joined him in his private practice in 2005. In June, 2007, they formed Haughey and Deters, LLC. 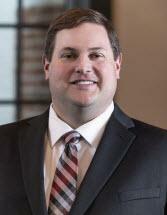 Since 2001, Dan has taught business legal studies at Miami University and coached the university Mock Trial Team. Dan currently serves as a Board Member of the American Mock Trial Association (AMTA), the non-profit organization that governs intercollegiate Mock Trial. In November, 2008, Dan was elected to be the Judge in Butler County Area III Court (West Chester).